The Action contributes to the implementation of the Project of Common Interest (PCI) 8.2.1 Enhancement of Latvia-Lithuania, which aims to increase the interconnection capacity between the gas systems of both Member States. 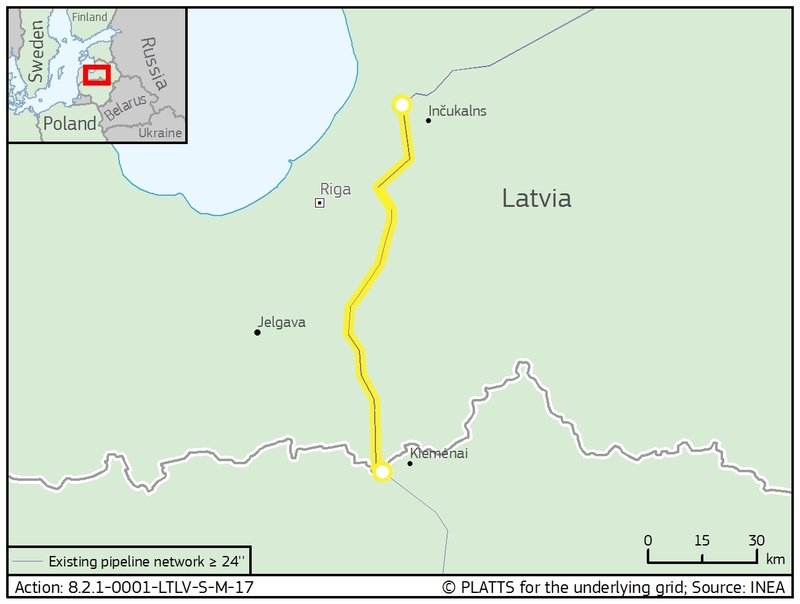 The objective of this Action is to prepare a feasibility study and a cost-benefit analysis (CBA) aimed at analysing the possibility to enhance the interconnection capacity between Latvia and Lithuania, in order to address the increasing demand of gas flow between both countries as well as to adapt to a changing gas market. The feasibility study will determine the precise technical scope of the project. It will detail the needed infrastructure elements and related technical parameters, assess the available technical options and identify the most efficient solution, as well as determine the needed cross-border capacity for the elimination of the possible bottlenecks between Latvia and Lithuania. Furthermore the study will evaluate the need for a cross-border cost allocation (CBCA). The completion of this Action will contribute to the implementation of the PCI 8.2.1 by preparing a solid basis for taking further crucial steps towards the Final Investment Decision (FID) to implement the project and start the design and construction phase.